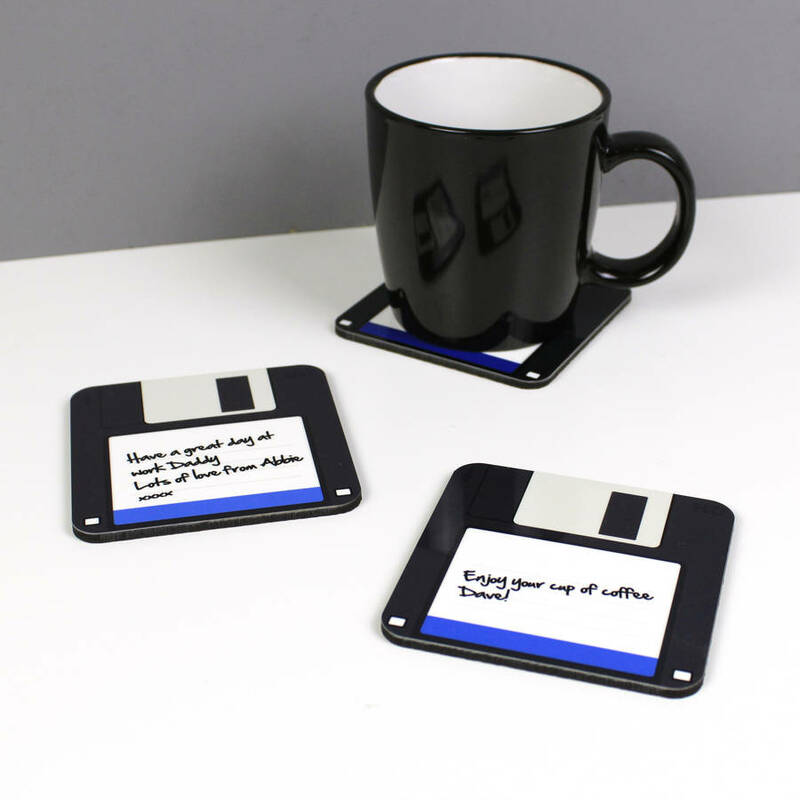 A personalised geeky coaster made to represent the old 3.5" floppy discs. 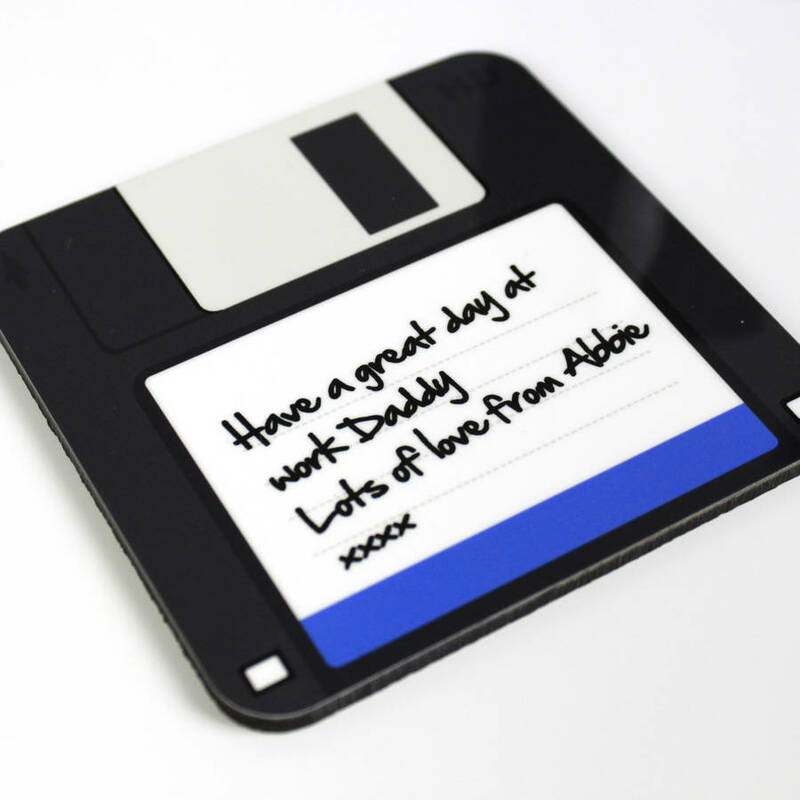 Personalise the coaster by adding your own message. This is printed on the coaster to look like a hand written note on the disc. 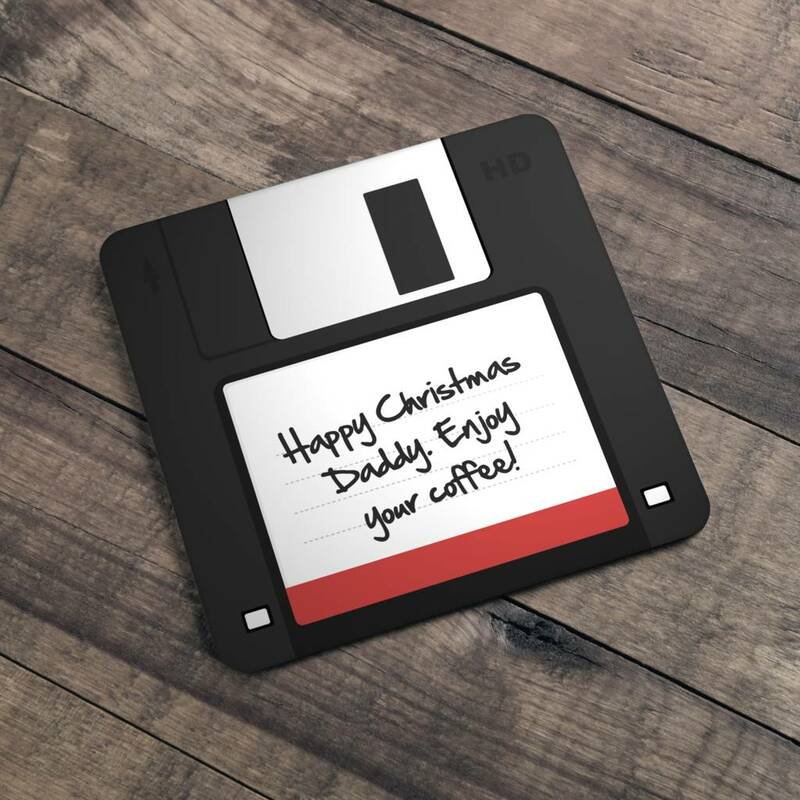 Some examples of messages we have printed on this coaster include "Daddy's Coffee", "BRB I'm brewing", "Happy Birthday David" and even a drinks order. 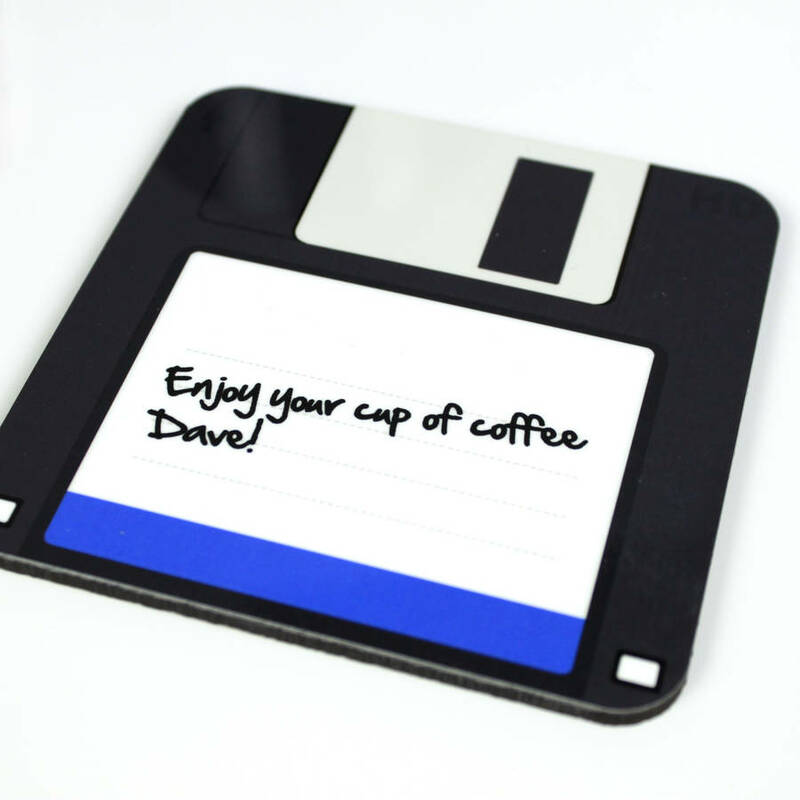 Please note, this is not a real computer disc - it is a high quality image of one printed to a gloss finish coaster. Hard wearing coaster with cork on the bottom. 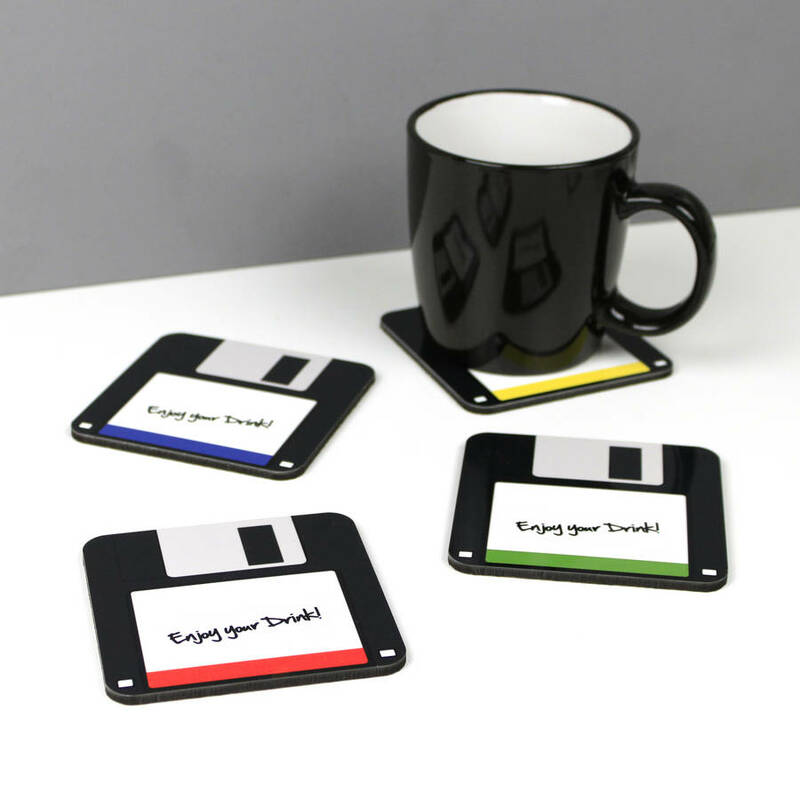 The coaster comes in a cellophane wrapper.